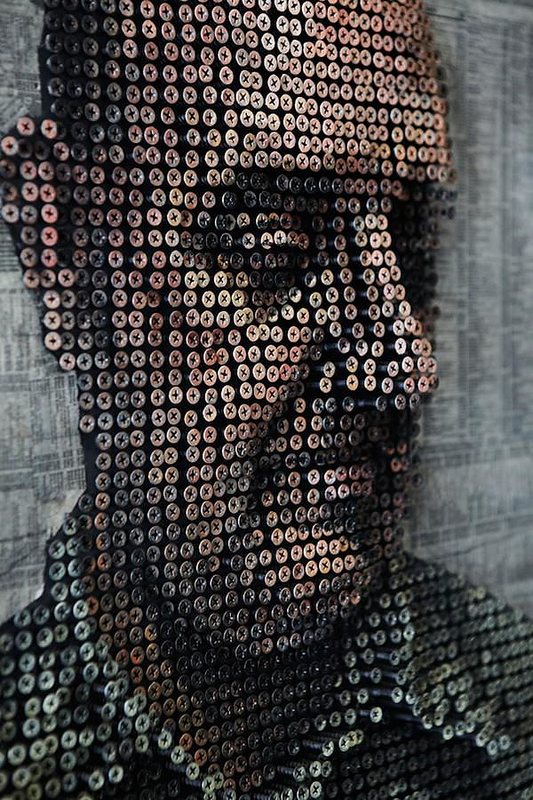 HomeBlogArt3-Dimensional Screw Paintings by Andrew Myers. 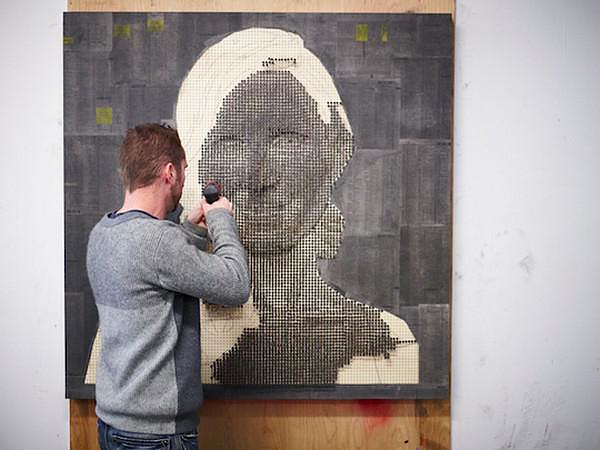 Artist Andrew Myers from Laguna Beach, California literally screws his artworks! 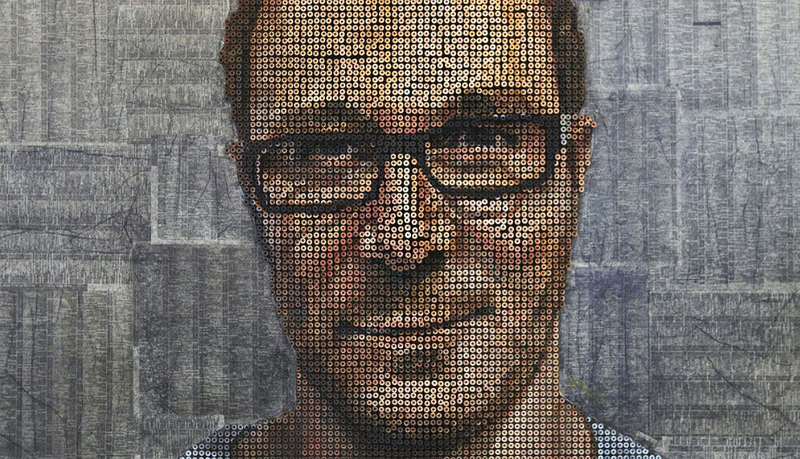 By using thousands of screws he creates unique three-dimensional paintings that combine the art of painting with sculpture. 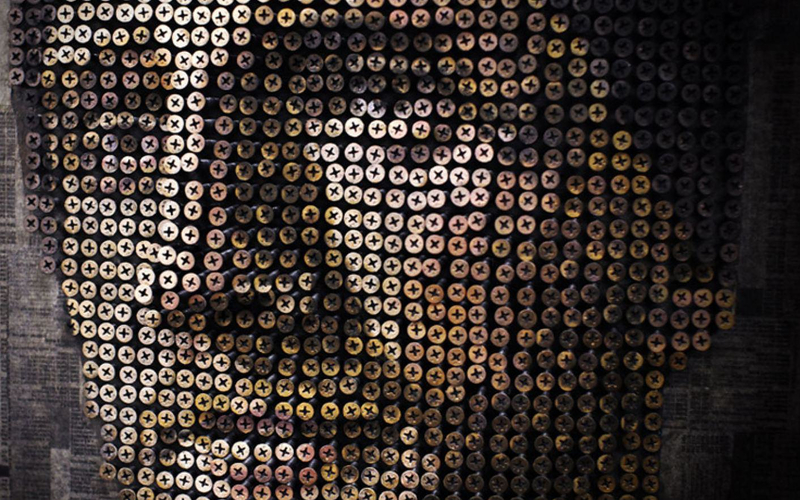 Myers came up with the idea when he was screwing brass representations on the walls of a church and figured he could create a similar artwork composed exclusively by screws. 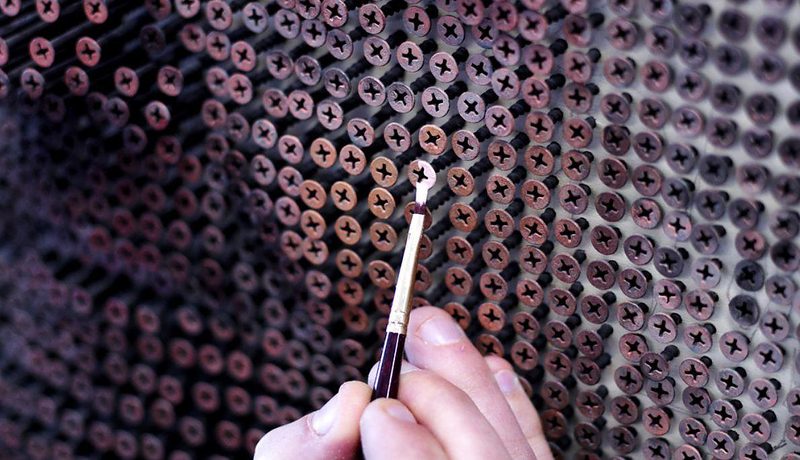 Six months later, he had completed his first unique screw-painting using this technique. 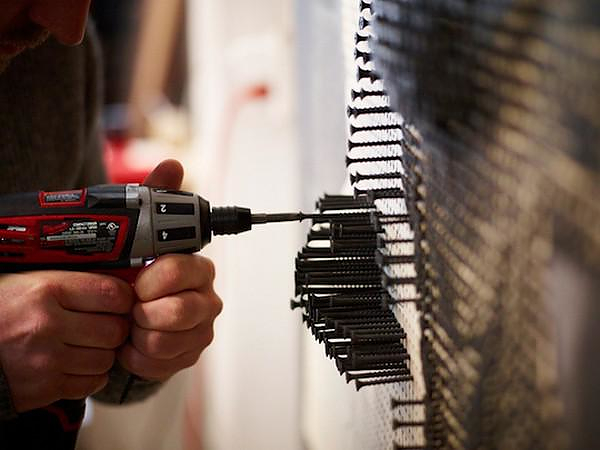 The creation of a piece has two levels: initially the concept of the third dimension is created by drilling 8,000 to 10,000 individual screws into a plywood panel. 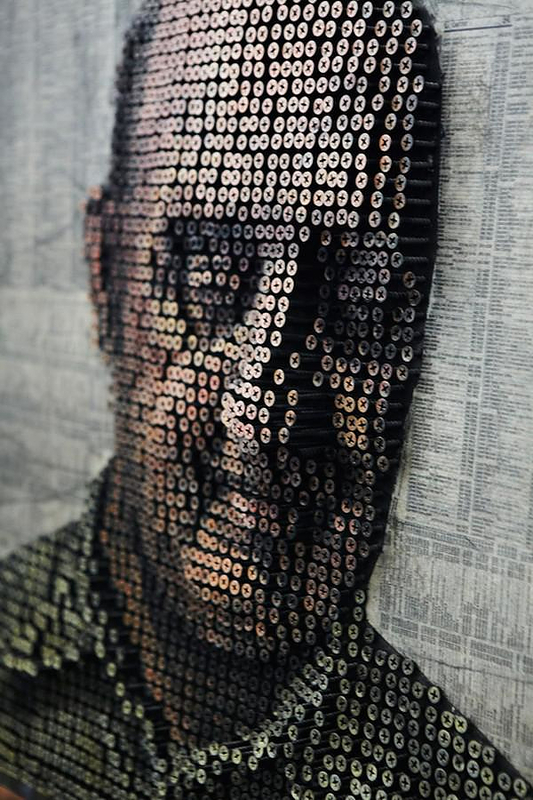 He then paints over the head of each screw one by one with a brush, creating a truly three-dimensional painting. 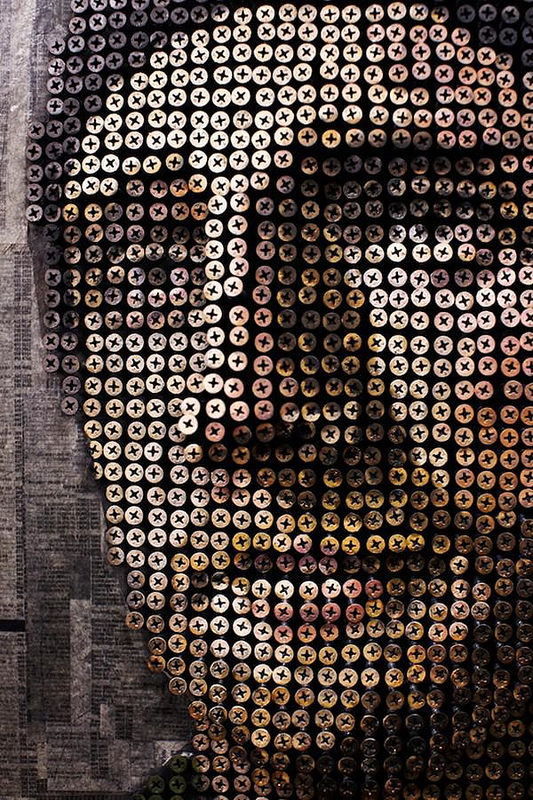 The result is extremely impressive in terms of originality, and complexity. Check out some of Myers’s most inspiring works after the jump. 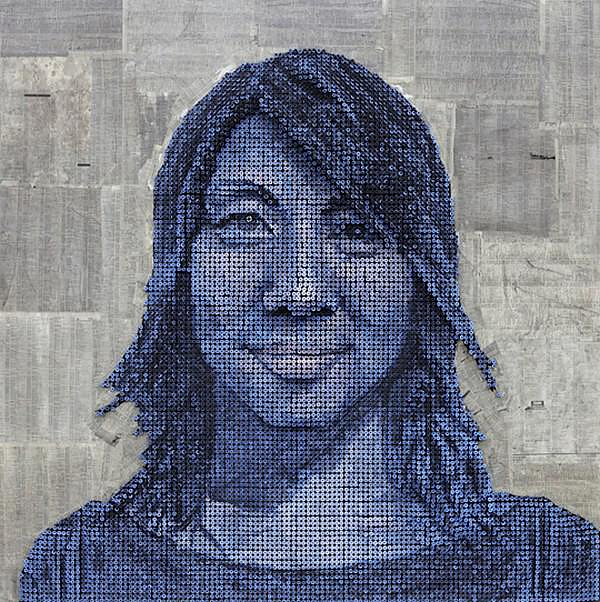 Myers is a graduate of Laguna College of Art and Design (California, USA), and started his studies at the age of 20. 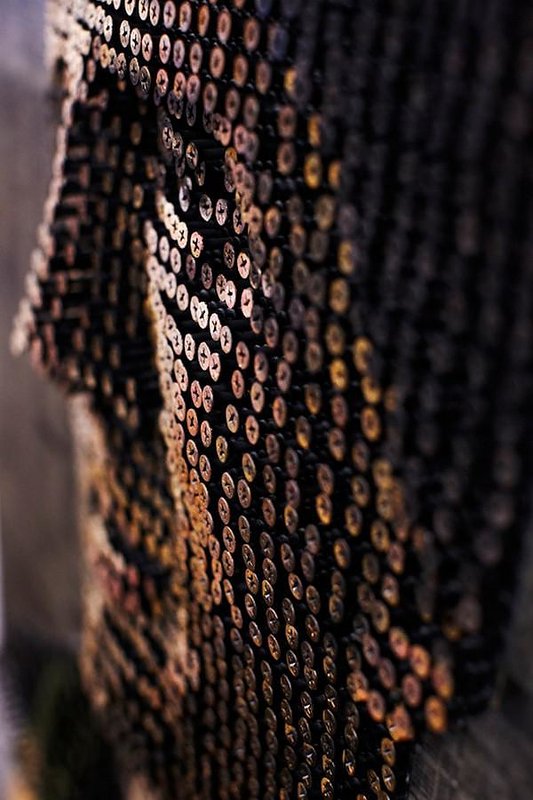 Without any prior training in arts, Myers was admitted thanks to the unique documentation of his application: his handmade artworks that made as a self-taught artist. At the age of 20, Myers applied to the Art Institute of Southern California (now known as the Laguna College of Art and Design); with no previous art training, he was accepted based upon the natural talent his application portfolio evidenced. 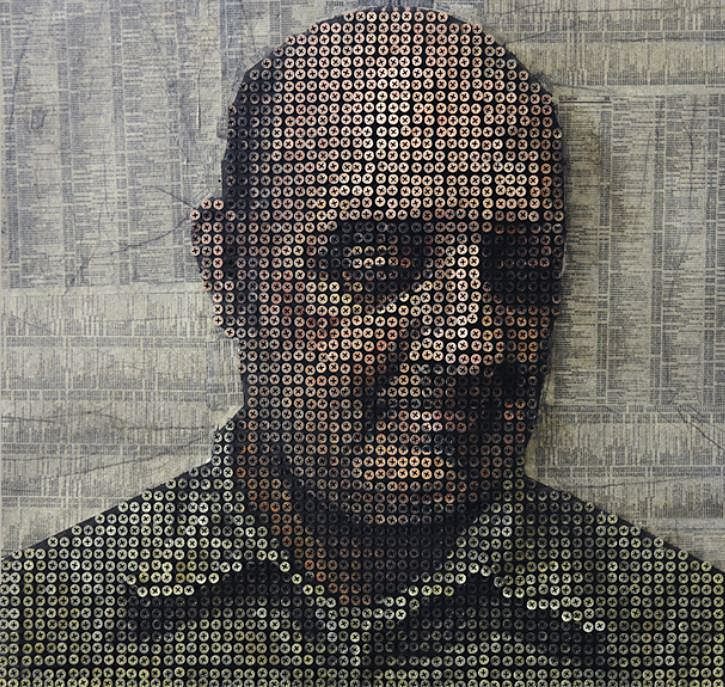 The young artist developed his skills through advanced figurative sculpture and accelerated painting curriculum. 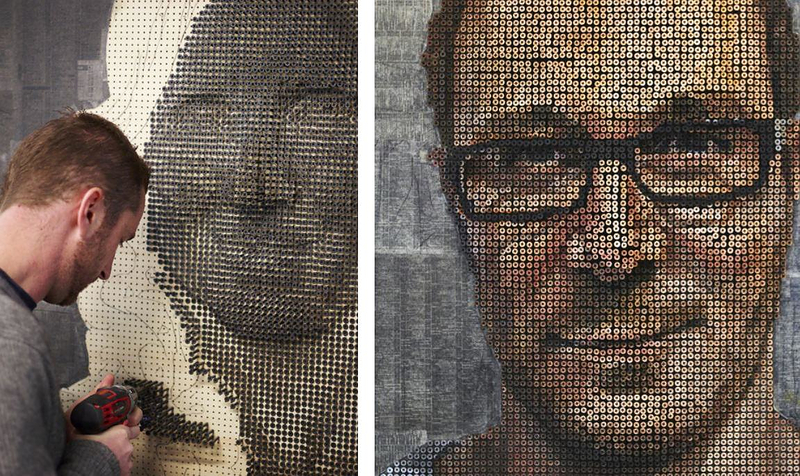 While these two and a half years of creative training provided Myers with the basic working knowledge of the artistic field, it was his drive, passion, and leap of faith into work as a full time artist that allowed him to cultivate his particular style. 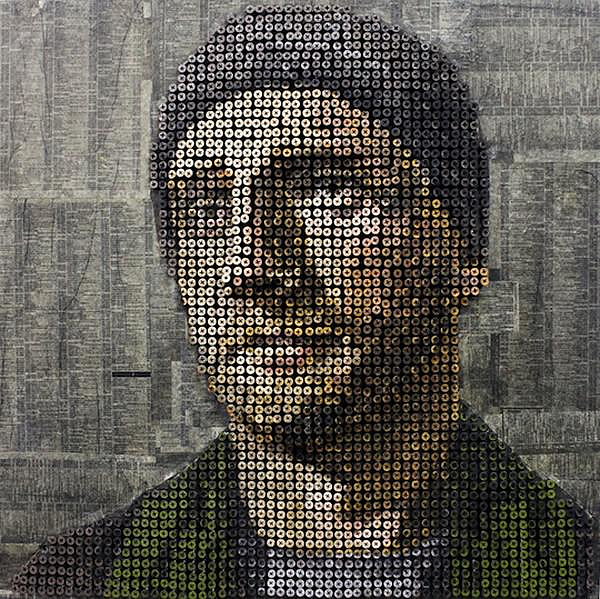 Myers blends modern material with classical figurative technique featuring a universal subject matter that is prevalent throughout his work. 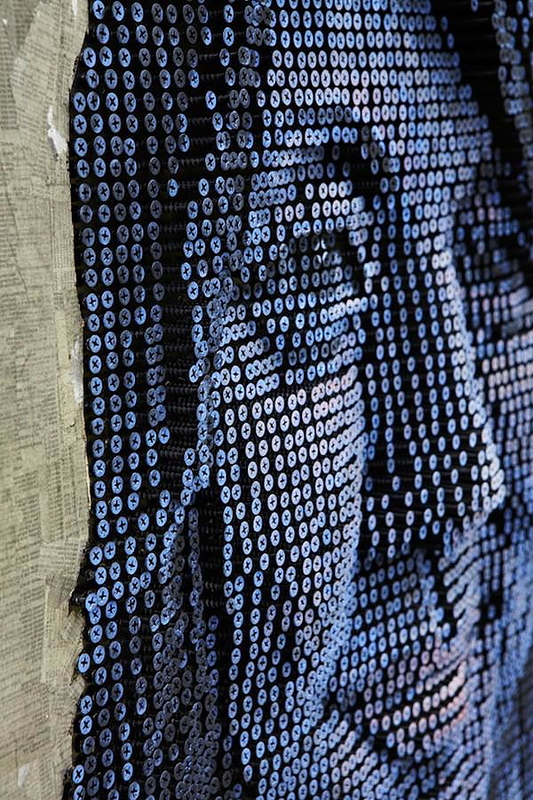 It is his unification of these three characteristics that results in the innovative and modern artwork that captivates.